Jean-Claude Larreche is Professor at INSEAD and holder of the Alfred H. Heineken Chair. His latest book The Momentum Effect: How to Ignite Exceptional Growth has been published in 2008 by Wharton School Publishing and translated in several languages. Amazon USA named The Momentum Effect “4th Best Book of the Year” in the Business and Investing category. In addition to his MBA from INSEAD, Jean-Claude received an MSc in Computer Sciences from the University of London and a PhD in Business from Stanford University. It was as a student at Stanford that he was first nicknamed “JC” by his friends. Jean-Claude has always combined his academic career with business activities. He is a renowned consultant with leading global corporations, most of them listed in the global Fortune 500. Aged just 35 he was appointed a non-executive director of the multinational firm ReckittBenckiser, and he kept that position for the exceptionally long tenure of 18 years. He has also been on the INSEAD Board for 14 years. He is the Founding Chairman of StratX a strategic development consultancy with offices in Paris and Boston. His academic work concentrates on fostering the fundamental capabilities that influence a company’s ability to deliver growth, especially through marketing excellence, customer focus and innovation. His publications have appeared in numerous international journals. He is the author or co-author of many books, including Markstrat, the leading strategic marketing simulation used by more than a million executives worldwide. From 1998 to 2002, he has been the author of five annual reports on Measuring the Competitive Fitness of Global Firms. 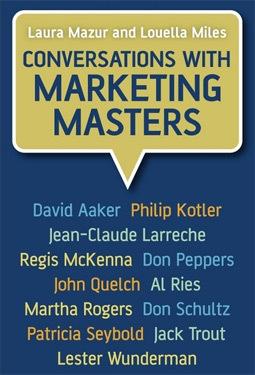 He has won many awards for his research and his teaching and was selected as one of the top 12 marketing masters in the world by Mazur and Miles in their book Conversations with Marketing Masters.